Finishing off January with a monochromatic, mixed pattern, eye sore and potential seizure inducing extravaganza. This is a minimalist outfit that makes the most out of two very distinct pieces. I totally agree with you about black ad bright colors - the outfit would have been good with a black coat and black bag, but then? Why do we have to wear black in the winter? I am seeing lately a lot of grey, camel, black - although the outfits are nice, they look like uniforms - nothing wrong with that, but I love a twist. 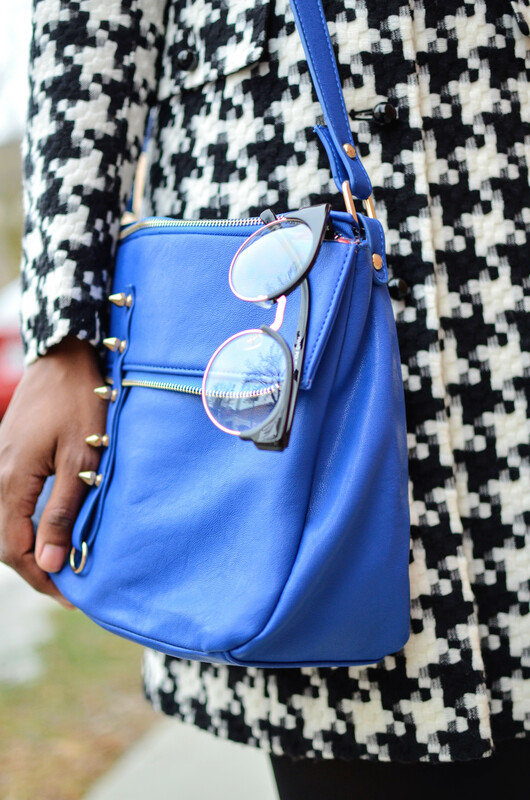 This bag is amazing and goes so well with the cat and the leather collar dress! I think you look amazing! Hope you have a very lovely day! I love the coat! I found one at the thrift store a few weeks ago but it was dry clean only and had a stain :-( so I had to leave it behind. 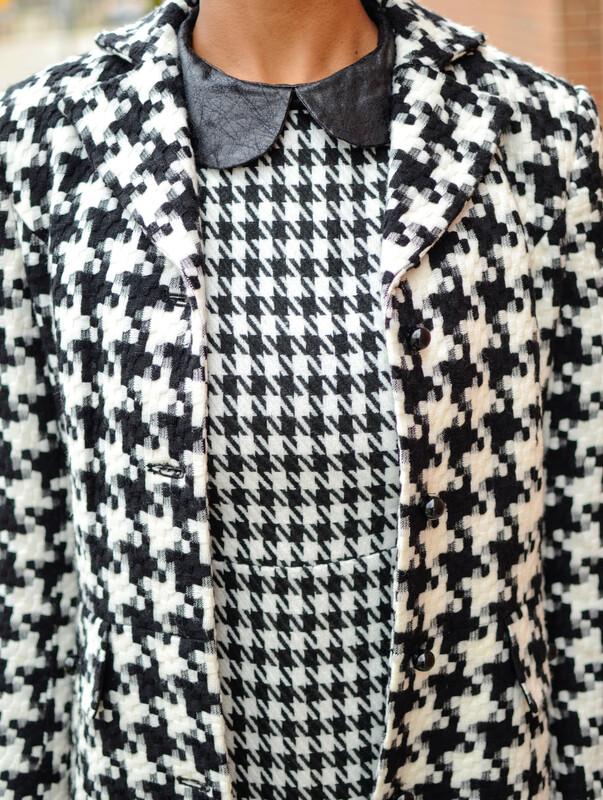 OMG so much houndstooth!!! So good. That coat is absolutely on point. 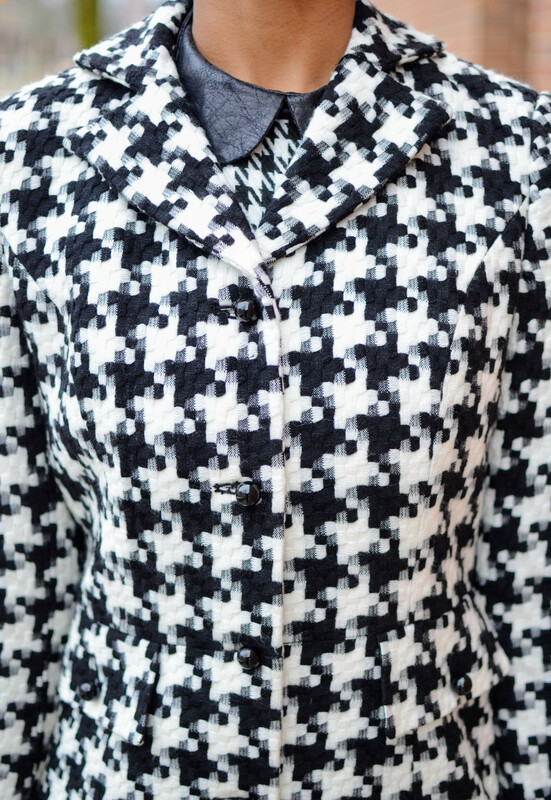 Is there such thing as too much houndstooth? We can safely say no, no there is not! this is so pretty that it makes me wanna cry ; w ; <3 best print ever!